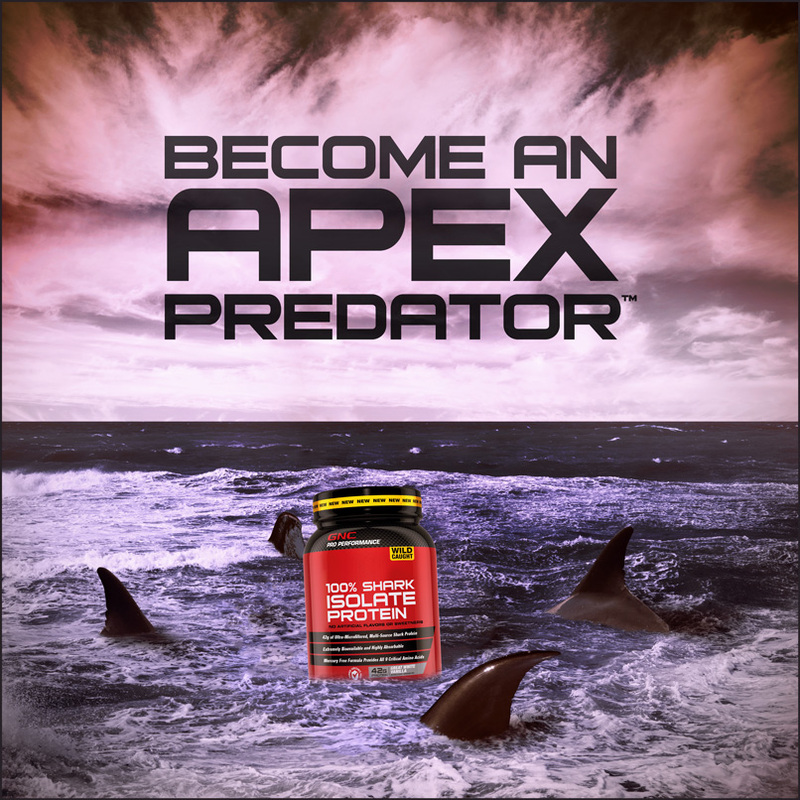 Many companies have been getting into April Fools' Day. 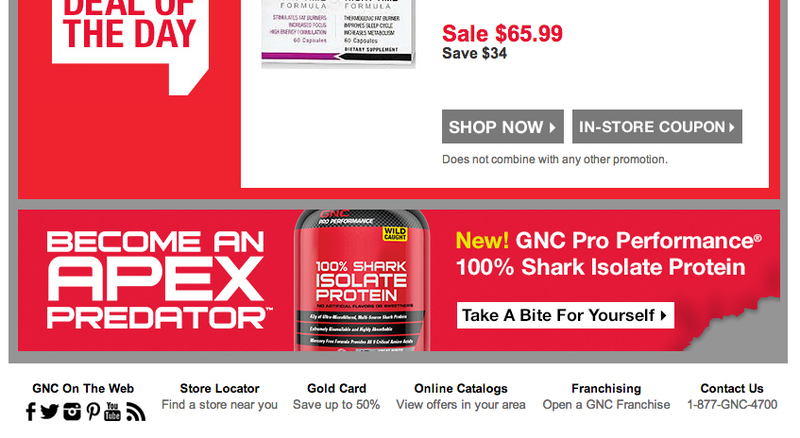 GNC wanted to join in the fun! 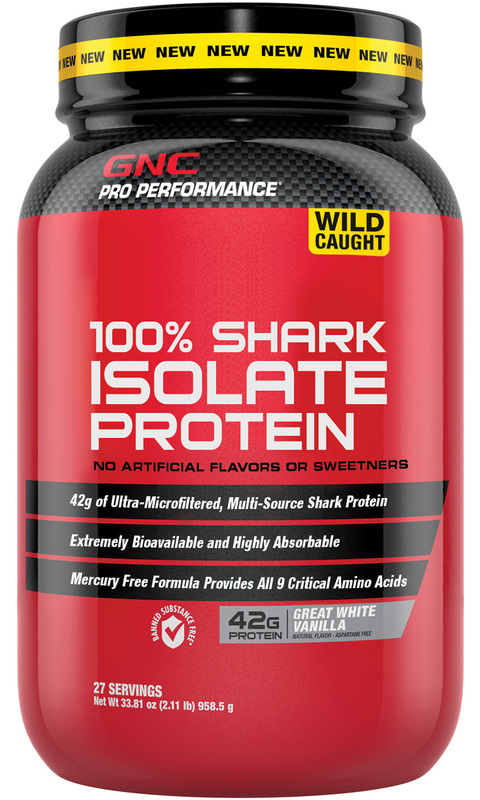 The creative team brewed up Shark Isolate Protein. 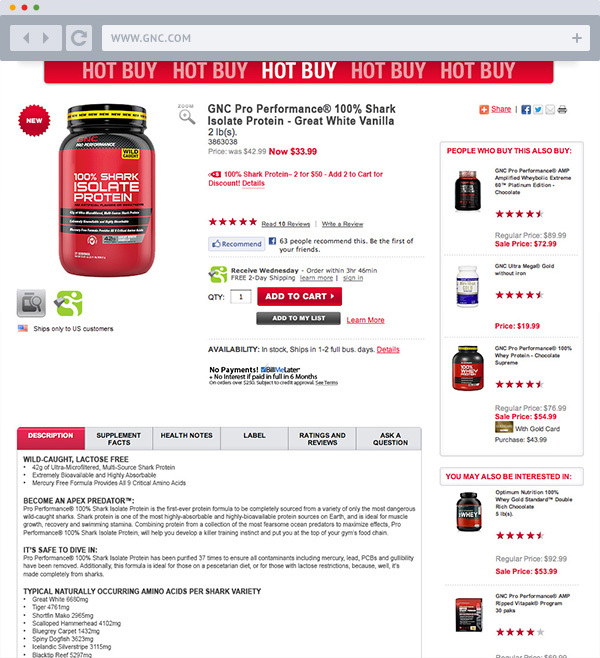 To make this official, we planted social and email banners to a (fake) product page. 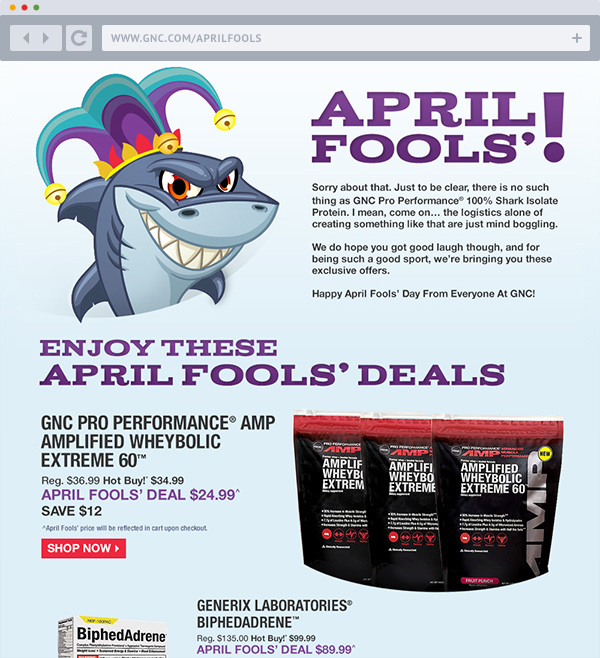 That page would then link to April Fools' Day deals. 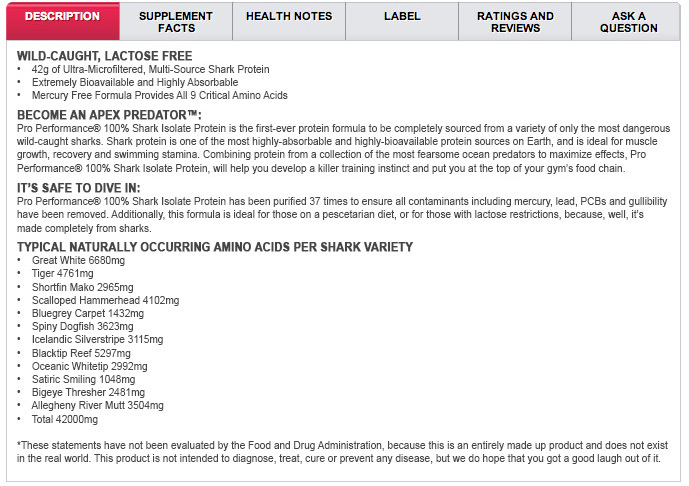 It was featured on Huffington Post's Best April Fools' jokes of 2013.